The new food guidelines issued by the United States government recommend that all Americans eat between five and nine servings of fruits and vegetables each and every day. The story is much the same in Australia. When you first hear that you might think, hang-on, what happened to 5A Day? If you read papers about Nutrition you will notice that ideally you will eat more than 5 and some reports say 9 portions a day. When you take into account how much a serving really is, it is actually quite easy to get nine servings of fruits and vegetables per day. For instance, the recommended daily amount actually equates to a quite reasonable two cups of fruit and two and a half cups of vegetables every day. When you consider how many fruits and vegetables are available, and how easy it is to find fresh, in season, produce it becomes much easier to reach this daily goal. 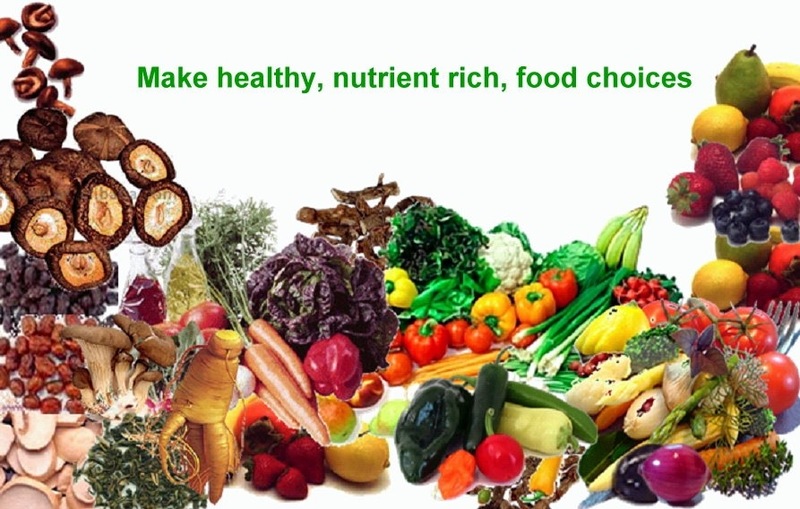 Eating the same thing every day quickly becomes boring, so why not pick a variety of fruits and vegetables, in every colour of the rainbow and in every conceivable shape, size and texture, to give yourself a varied diet. When shopping for fruits and vegetables, it is important to choose a variety of colours. This is for more than purely artistic reasons. Different colour fruits and vegetables have different types of nutrients, and choosing various colours will help ensure you have the vitamins and minerals you need each and every day. Finding new recipes is another great way to ensure you get nine daily servings of fruits. Everyone likes to try out new recipes, and they may provide the impetus you need to keep going. New recipes also provide you opportunities to try new and unusual fruits and vegetables. For instance, everyone has eaten oranges, but have you tried kiwi or mangoes? How about spinach or kale? Trying new things is a great way to find new favorites while getting the best nutrition possible. Many think a daily vitamin supplement/is the same? Actually, nothing could be further from the truth. That is because fruits and vegetables contain far more than the micronutrients identified by science and synthesized in vitamin pills. While these micronutrients, such as vitamin C, vitamin A and vitamin E are important to good health, so too are the hundreds of other elements, plus fibre and water, that are contained in healthy foods like fruits and vegetables. These elements are not available in any pill, they must be ingested through a healthy, balanced diet that contains plenty of fruits and vegetables. In the long run, getting the nutrition you need from the food you eat is much less expensive, and much better for you, than popping vitamin pills every day. So don’t give up – get your five to nine servings of fruits and vegetables every day. It may seem like a lot, but you can meet this quite reasonable goal simply by including fruits and vegetables as snacks, as garnishes, as side dishes and as meals. Veggies in your eggs for breakfast, fruit and veggie snacks mid-morning and afternoon, a huge bouncy salad with lean protein for lunch then a new and exciting recipe for your main meal with lots of colourful veggies and a different free-range/wild protein source in the evening.